Google CS First club activity materials can be used by middle schools throughout the US and it is completely free for educators and students. These fun learn to code activities are funded by Google and supported by google employees, interns as well as volunteers. 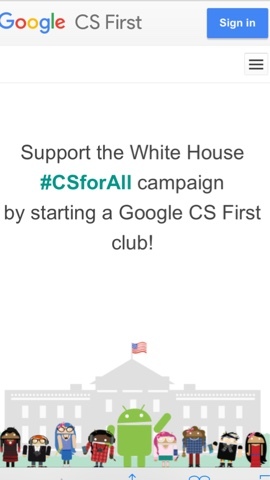 You can engage in President Obama's new White House initiative #CSforall by starting a local club at your school!